Residential property sales to first time buyers in the UK increased to 29 per cent annually in February 2018, as they seem to be taking advantage of the stamp duty relief announced by the government last year. In January 2018, first-time buyers accounted for 27 per cent of the total house transactions. 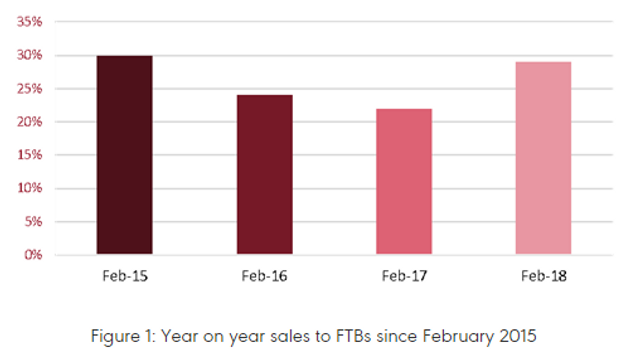 According to the latest Housing Report from NAEA Property Mark, house sales to first-time buyers were the best last month since February 2015. Last year, they stood at 22 per cent and in 2016, the first-time buyers accounted for only 24 per cent of the total sales. The Stamp Duty Land Tax relief has enabled first-time buyers to make a tax-free property purchase up to the value of £300,000. For purchases between £300,001 and £500,000, first-time buyers must pay 5 per cent tax. According to NAEA, the average number of first-time buyer sales agreed per branch rose from seven in January to eight last month – the highest amount since October 2017. Several developers are offering schemes specifically targeted at first-time buyers in the UK. Greenview Court in west London by Strawberry Star is one such scheme ideally meant for first-time buyers. For more information relating to the scheme, contact our office in London.